Let me guess, this little phrase is simultaneously the most-beloved as well as the most-annoying set of words for the end users. 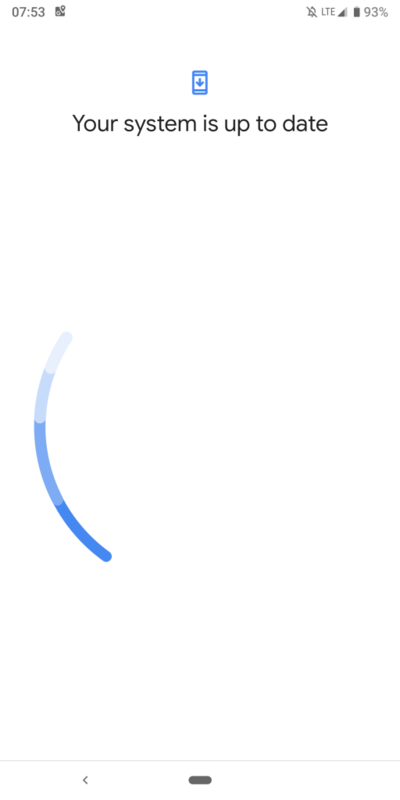 Hammering the update button like a thousand times and cursing your mate for getting the latest update earlier than yours – not a very uncommon story I presume. Not every update brings new features and bug fixes, as some unleash epical chaos. Even your shoes nowadays require software updates… and the consequences are horrific. There is this design principle called KISS – an acronym for “keep it simple, stupid”. Software designers often prefer to follow this approach, but it requires some interactions from the end users too. However, major consumer oriented operating system developers are gradually oversimplifying the design. As a result, power users are unable to get adequate customization abilities. Take the example of the Galaxy S10 – Samsung lately provided a number of OTA updates to fix existing bugs and bring new features for their 10th anniversary edition of Galaxy S series. Nonetheless, some ‘unexpected’ features such as auto popup menus while typing are not well received by the S10 user communities. This is really aggravating me for some reason. Everytime I touch an text entry point, the pop-up for autofill or clipboard comes up. I usually use GBoard, but the problem persists with default Samsung keyboard. This just started happening this morning. As a matter of fact, the ‘feature’ is not tied with the keyboard app itself. Both stock and third party keyboard (for example: Gboard or SwiftKey) users are facing the same issue. Comment from discussion doordingboner’s comment from discussion "After that last update, someone please make this stop. So annoying.". 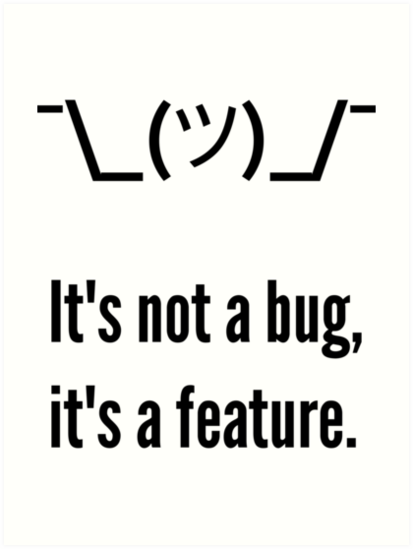 It happens in every app, not just messenger. I also switched back to Samsung Keyboard and Samsungs default messenger app, and still the same thing. It has to be something firmware related. Comment from discussion CatPandaFish’s comment from discussion "S10+ Keyboard Issue (autofill/clipboard pop-up)". Users have quickly found out that the recent March security patch update (build ASC8 for global Exynos models, build ASD3 for US Snapdragon models) has brought this particular characteristic in the Pie based One UI firmware of Galaxy S10e/S10/S10 Plus. 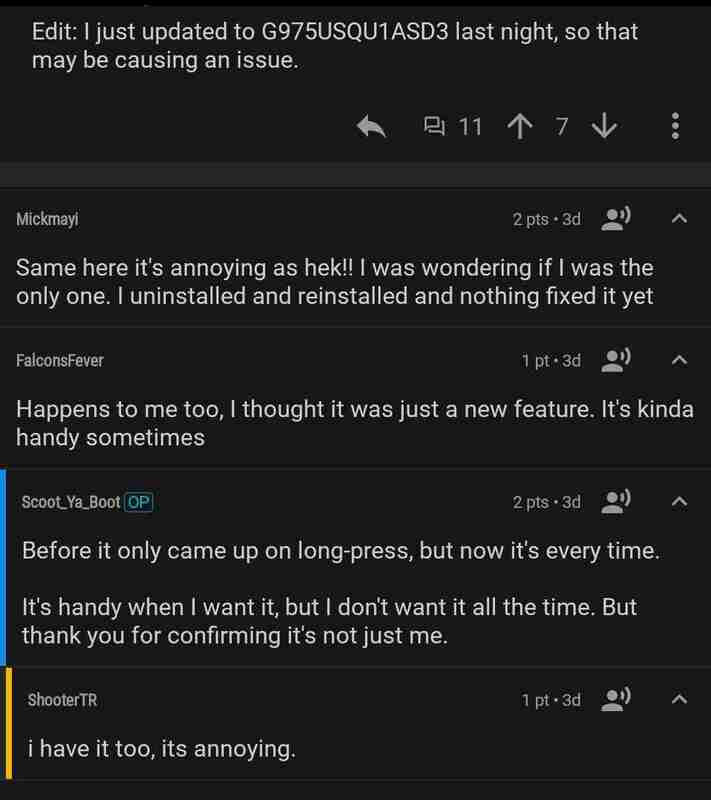 Comment from discussion BattleMaster29’s comment from discussion "S10+ Keyboard Issue (autofill/clipboard pop-up)". After installing the March update, however, the workflow has been altered. Well that’s surprising. I figured the bug would be everywhere but apparently it’s more complicated. That exact sequence results in the popup on my unlocked S10 with yesterday’s update. Comment from discussion gatorglaze’s comment from discussion "List of new features after update". The community has not found a proper way to toggle the option (or even turn it off completely). There is a suggested way that involves removing Google app as the autofill provider, but there are some side effects as well. We are unable to find any bug report filed in Samsung community forums regarding this issue at the time of reporting. It can be possible that Samsung is treating this new functionality as a feature upgrade, thus it may sustain in future as well. Nevertheless, an option to turn it off (or a manual toggle button) would be much appreciated by the Galaxy S10 users, as judged from the community feedback. Have you noticed this auto popup context menu (Clipboard, Autofill etc.) while typing on your Galaxy S10?